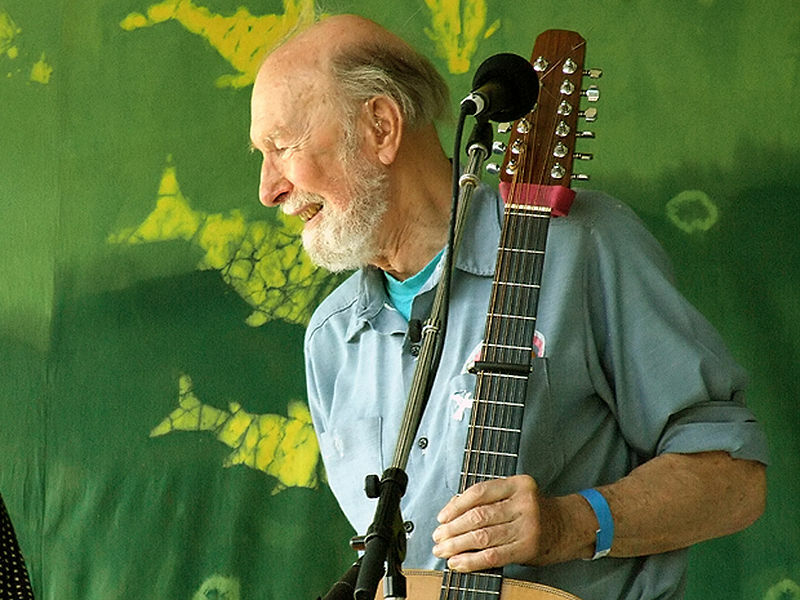 Celebrate and remember legendary folk singer and activist Pete Seeger with this 2-hour special. Seeger has spent his remarkable life, both on and off the stage, supporting civil and labor rights, racial equality, environmental consciousness and peace with his voice and music. Both hours are hosted by WAMC President & CEO Alan Chartock, as he sits in Pete's home for the interview that has archival sound and music weaved throughout the two hours. Stations may air one or both hours of the special. In the is second hour of Pete Seeger: A Life, Seeger discusses the media, and his music career with the Almanac Singers & the Weavers. Celebrate and remember legendary folk singer and activist Pete Seeger in this first hour Seeger talks about his early life, influences & teachers.